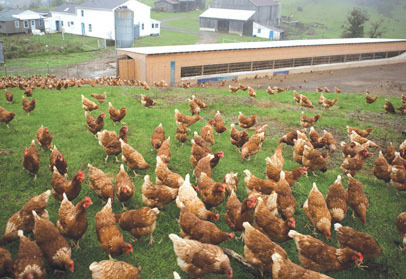 NestFresh pasture raised hens have access to open spaces. We make sure that whether our NestFresh hens are indoors or out to pasture, each bird has room to roam, the freedom to socialize and the tools they need for a little hen-style self-care. When weather brings the birds into the barn each hen enjoys a roomy space filled with perches, nesting boxes and dust baths. These hen hangouts are built into their environment to allow our birds to act naturally. Our hens can nest and lay eggs in quiet, soft nest boxes; they can perch to get a better view of their surroundings; or they can dust bathe to keep themselves free of mites and other parasites that irritate their skin. When our hens want to leave the nest, their outdoor access allows them to roam huge pastures, forage in the grass, and take in the fresh air and sunlight of their farm. 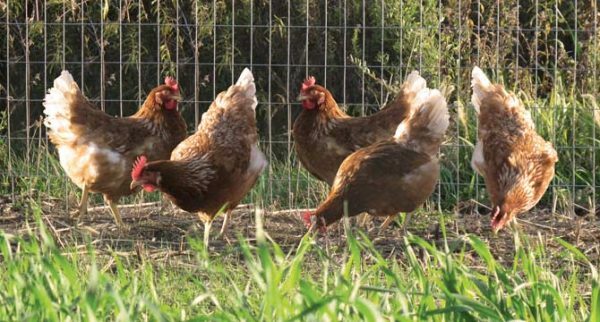 These pasture raised hens are more than free-range. Each of our pasture raised hens enjoys at least 108 total square feet of open pasture, which means they have ample space to enjoy all the perks of being outdoors. With no harmful chemicals, added hormones, or animal by-products in our hens’ feed, each of the NestFresh Pasture Raised Eggs they produce is the most sustainable, humanely raised egg for your family. 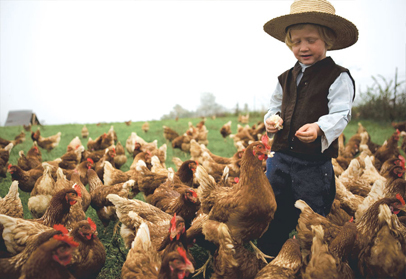 Our Pasture Raised Eggs, available in Organic, Non-GMO Project Verified, and Soy Free varieties, are Certified Humane by Humane Farm Animal Care. 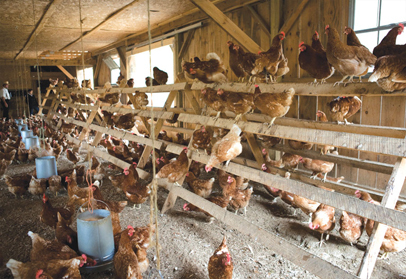 Their high standards for pasture raising hens include providing shade for the animals, rotational pasturing to prevent overworking the land, and the growth of vegetation. They inspect, audit and certify our farms to ensure that we are following each of their standards and producing truly pasture raised eggs. Visit Certified Humane for their full list of standards and more information about the Certified Humane program. 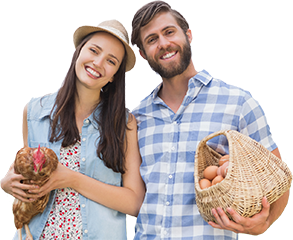 NestFresh has a network of family farms stretching across the United States, which benefits farmers, communities, the environment, and egg lovers like you! We help small farms compete against bigger companies on a national level by creating a co-op system that gives each farm the power of many. 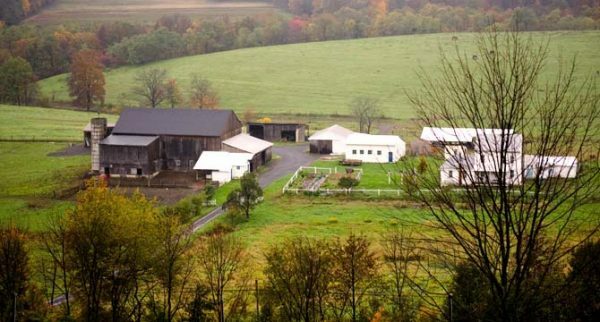 Small family-owned farms not only provide numerous jobs within the community, and support local business, but also have less of an environmental impact than large farms. This is because of their ability to implement small-scale, organic farming practices. To top it all off, our cross-country network means you get the freshest, local eggs from our brand! 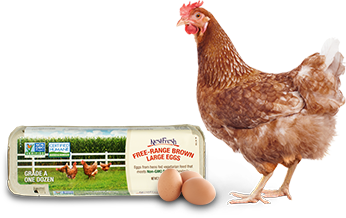 NestFresh Pasture Raised Eggs come from farms that are run by families who care about their land, and the animals they raise on it. We are proud of all our farms and we love sharing their stories with you. We invite you to visit our blog to read more about each of our very special farms and to learn about how they produce the pasture raised eggs that you love.